The newest version of the Apple Watch is inching towards becoming a medical device. With a built-in electrocardiogram, it is said to be the world’s first wearable available to consumers over the counter to offer such medical functionality. Jeff Williams, COO of Apple, speaks about the Apple Watch Series 4 in California last month. Photo Noah Berger. Apple heart monitoring applications. Photo: mobihealthnews. 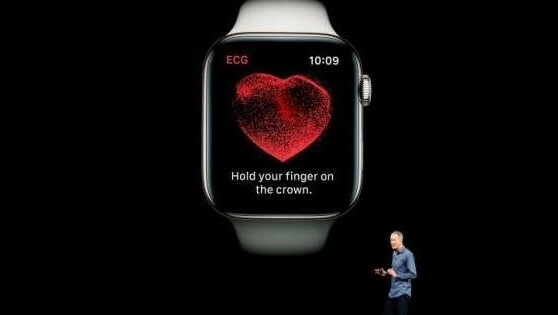 Launched last September, the Apple Watch Series 4 has received approval from the US Food and Drug Administration (FDA) to operate an on-demand electrocardiogram. Though such an advancement could mean a leap forward in personal healthcare, it is still a subject of debate as to whether this incarnation of the Apple Watch will prove to be a useful monitoring tool for the heart or a potential healthcare headache, responsible for trig­gering false alarms. Cardiologist Dr Krisda Vilaiwatanakorn said that wearable devices with medical features can be con­sidered supplementary equipment to keep an eye on the heart. However, they should by no means be the main source of information for medical diagnosis. “These devices can give preliminary data to sug­gest if something should be done. But users should not solely depend on them or be overly alarmed by the results without consulting a specialist,” he said. An electrocardiogram, also known as an EKG or ECG, is a diagnostic procedure to measure and record the electrical activity of the heart. The heart has its own electrical system for making and con­ducting signals that trigger the heartbeat. The electricity is generated by a group of cells in the heart’s wall called the SA Node, which signals the atria, or upper chambers, to contract. Then it sends signals to the AV Node, another group of cells, to trigger the ventricles, or lower chambers, to contract. So to check the whole picture of the heart and how each chamber functions, Dr Krisda explained, EKG comes into play, as it is designed to monitor the electrical activity from different angles in order to identify and locate the heart’s pathology. There are several markers to monitor the pattern of electricity. A full-scale EKG used by cardiologists to check for abnormalities in the heart usually com­prises 12 leads, imaginary lines between two EKG electrodes. A 12-lead EKG procedure uses 10 elec­trodes – six for the chest and four for the limbs. Painless and quick, an EKG can be used to check the heart’s rhythm and blood flow, and de­tect heart attacks or other abnormalities, such as thickened heart mus­cles and coronary artery diseases. According to Dr Kris­da, the biggest difference between wearable-scale and hospital-scale EKGs is the number of leads. While a full-scale EKG contains 12 leads, a wearable-scale EKG is a single-lead detector. “A single-lead EKG can only check heart rhythm and if the heart is beating normally. However, it doesn’t detect electricity that runs to and from other parts of the body. Illnesses like thickened heart muscle, cardiomegaly (enlarged heart) and coronary artery diseases can only be confirmed by a 12-lead EKG,” he said. 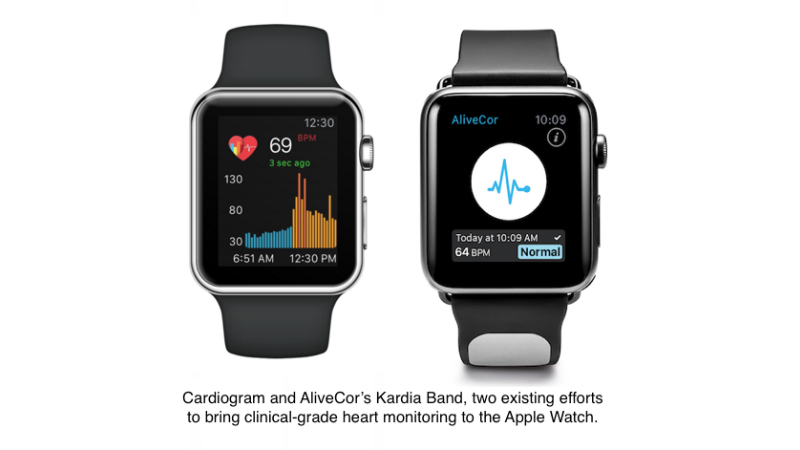 Despite such limitations, Dr Krisda is of the opinion that wearable devices with built-in EKG can be helpful, es­pecially among the elderly, as many of them do not feel like complaining about their health or visiting a special­ist for regular screening. “Of course, a wearable is more con­venient than a portable EKG device because it does not require any compli­cated installing instructions. And it is FDA-approved, so the results are relia­ble to a certain extent. It helps monitor the heart’s health, which means it takes better care of us, especially in terms of prevention. With or without a smartwatch, tak­ing care of the heart is paramount and that requires human attention rather than medical technology. First, Dr Krisda advises starting with some­thing that can be amended. As with anything else, exercise is crucial. “It’s recommended that you work out five times a week. Each time should last no less than 30 minutes. If you do heavy exercise, the number can go down to three times a week. If you wear a smartwatch, keep an appropri­ate heart rate while exercising,” said Dr Krisda. Each individual’s target heart rate for exercise varies, but should be around 70% of one’s maximum heart rate for moderate-intensity physical activity. The maximum rate is based on a person’s age and can be calculated by subtracting the age from 220. If you are 40 years old, for instance, your tar­get heart rate should be 70% of 180 or around 126 beats per minute.